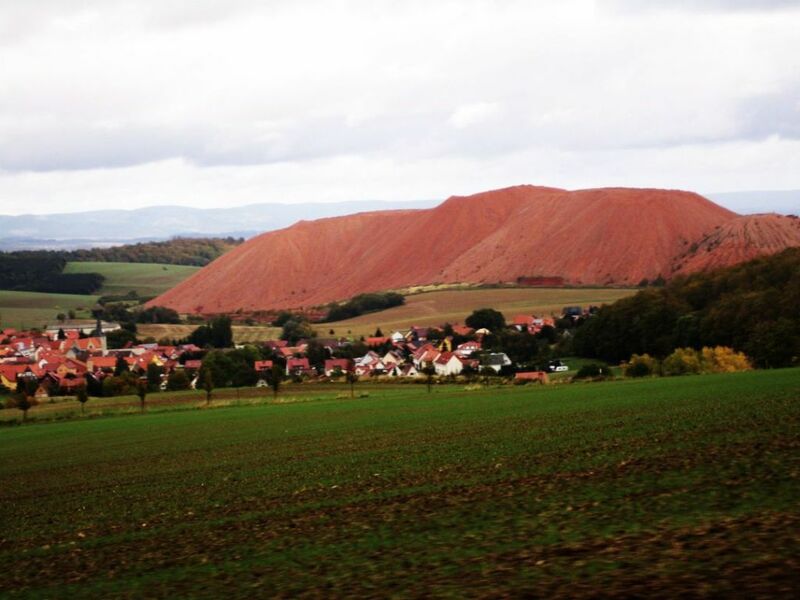 This is a Photo of a small Village and a red Hill in Thuringia. The red Hill is a Potash Spoil Pile but a Familymember said it is a inactive Overburden. I am not sure about that. The Hill is defenetly red in Real but I still did make some little Color corrections because the Photo was to bright in my Opinion. Thank you for your nice comment 🙂 I am from the Baltic Sea in Germany but this Photo is made in Germany Thuringia where we have Family we can visit sometimes. Thuringia is really a pretty quite place 🙂 Thank you.